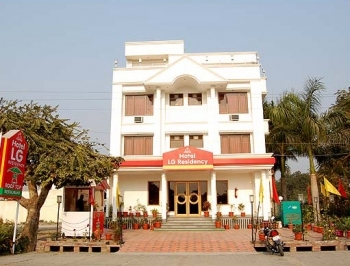 Hotel LG Residency is a 2 star deluxe hotel in Haridwar, which offers comfortable stay to the guests. At Hotel LG Residency you experience the true tradition of India in its most modern ways. Guests have turned to Hotel LG Residency for quality service, distinctive cuisine and all round excellence. Hotel LG Residency is located Near Singh Dwar on Avdhoot Mandal Ashram Road, which approax 3 kms from famous Har-Ki Paudi and Mansa Devi Temple. The hotel is around 1.5 kms from Haridwar Bus Stand and Railway Station. 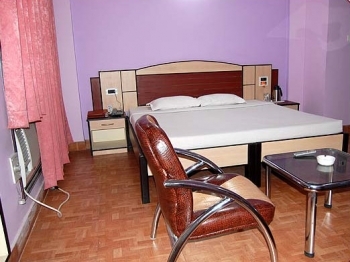 There are 19 rooms in Hotel LG Residency with all amenities for your pleasure. The rooms of the hotel have elegant and stylist decor. Classy furniture with all facilities is provided for your comforts. The room also offers long baths with running hot & cold water. Each one with cable TV. and telephone. If there is anything else you require, just ring the 24 hrs room Service our staff is always at your service. Magnificent original and elegant features have been lovingly restored, from ornate cornices to unique marble fireplaces. The restaurant at Hotel LG Residency offers an informal and relaxed setting where large or small groups can enjoy a convivial meal or buffet. Whether its a meal for two or three or for the entire family for business or for pleasure, you can be sure of satisfying your appetite. At the well-appointed in-house multi-cuisine restaurant of the Hotel LG Residency, you may relish sumptuous pure Vegetarian, Indian, Continental, Chinese, and South Indian delicacies. The hotel also has a coffee shop that serves refreshing coffee to the hotel guests. By Flight : In the region Air Services are available only upto Jollygrant airport in Dehradun which is 35 kms from Haridwar hotel LG Residency. By Rail : This major pilgrimage center has been well connected by trains to all the major towns of India. By Road : Haridwar, on the main highway, is connected to all major centres in the region and other parts of the country by road. There are buses available from Delhi to this place. Rishikesh is 28 kms and Mussoorie is 98 kms from the hotel.